All the experts working in our studio are passionate sailors with experience both in the regatta and cruising. For this reason, even launch and first tests are a real ritual for us. These are the moments when you really understand the goodness of the project, and if all the calculations and thinking really fit together in a balanced and unique way to give shape and soul to a truly unforgettable sailing experience. In addition to personally testing all the boats designed and optimized, our team is committed to gathering feedbacks and information about each project from boat owners and professional sailors, in order to increase knowledge supporting our professional growth. In this perspective, few others can boast our sailing experience with some of the best sailors in the world and also in developing projects for top-level teams, whose analyzes have helped us to grow quickly and consistently. 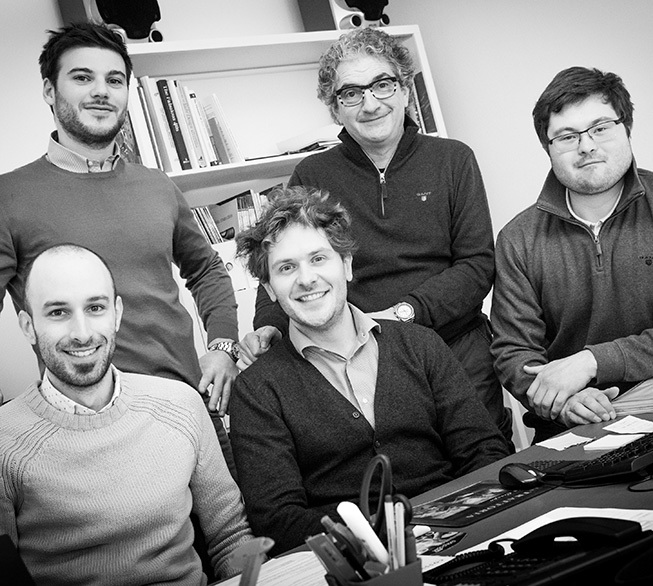 The Cossutti Yacht Design employs many internal and external professionals, including architects, designers and engineers, who are involved in the projects development. All the activities about design and development of engineering and structural applications are internally coordinated, as well as the intervention and optimization procedures in the various project phases. Many years of expertise in yacht sector favored the creation of a solid network of external professionals who collaborate with the studio, allowing Cossutti Yacht Design to provide a fast, efficient and punctual service for a very wide range of applications. In particular, the studio employs the best specialists and the most advanced fluid-dynamics analysis software for the verification of waterline models, if required in according with the international box rule regulations constantly evolving year after year. In addition to develop complete design solutions, the studio can also, on demand, include other external professionals in the developing of design concepts of internal and external elements, deck layout, or other. The large knowledge of the accessories market allows a quick and effective choice of deck hardware and all functional details, both for race and cruising boats. The Cossutti Yacht Design studio can also ensure an excellent developing of sail plans and sail inventories, thanks to his close and consolidated relationships with the management of the main lofts and with the designers of the best brands on the market.